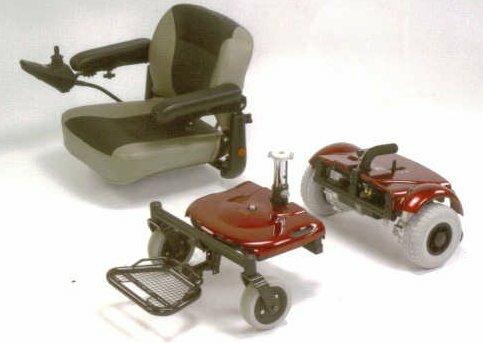 The Easy-Go light weight Powerchair- The next generation take-apart powerchair with effortless disassembly makes the Easy-Go super easy to transport with the heaviest piece only 34.3 lbs. and a total weight of only 93.5 lbs. 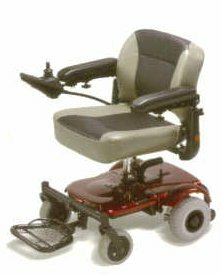 The height and width adjustable armrests, fully padded seat and the fully adjustable footplate makes the Easy Go a very versatile electric wheelchair that is easily transportable. 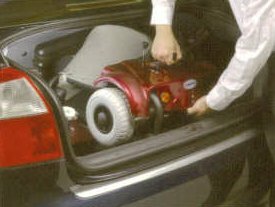 Smart design, smart technology, the Easy-Go will go anywhere you want to go. 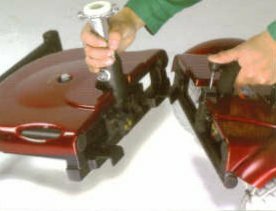 3 Piece Disassembly - Heaviest piece only 34.3 lbs.!!! Easy "one button" disassembly. Easy plug in controller connector Easy load and go! 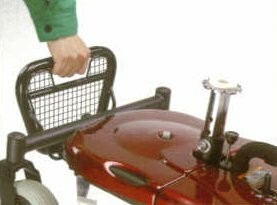 Light weight and easy to take apart and transport. Heaviest piece only 34.3 lbs.!!! 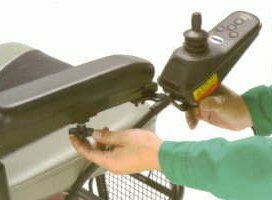 Fold up removable footrest with built in carrying handle for use when disassembled. Compact size ( 22.8" wide ) for easy indoor maneuverability. 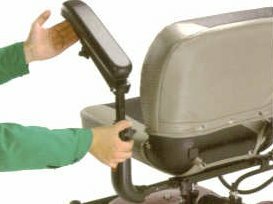 Breakdown Seat & controller - 27 lbs. 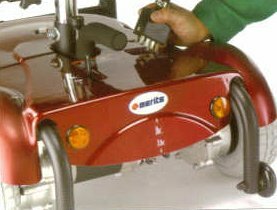 Front Chassis w/batteries - 34.3 lbs. Rear Chassis w/drive train - 32.1 lbs.